What’s worse than getting dumped? Not even knowing if you’ve been dumped. Joy got no goodbye, and certainly no explanation when Zan—the love of her life and the only good thing about stifling, backward Haven, Utah—unceremoniously and unexpectedly left for college a year early. Joy needs closure almost as much as she needs Zan, so she heads for California, and Zan, riding shotgun beside Zan’s former-best-friend Noah. Original and insightful, quirky and crushing, Joy’s story is told in surprising and artfully shifting flashbacks between her life then and now. Exquisite craft and wry, relatable humor signal the arrival of Emily Wing Smith as a breakout talent. I should mention if there is one thing I love first and foremost about this book it is the author. Emily Wing Smith is one of the most down to earth, kind and honest people you’ll ever encounter. She has overcome some major life obstacles plus has a master’s degree and two published YA novels. If you ever get the chance you’ll want to meet her. When she called to ask if she could swing by my home to deliver an ARC of Back When You Were Easier to love I was both delighted and touched. How many authors do you know that find you as a fan and bring you their book? Really!? Emily Wing Smith simply rocks. Joy is your typical teen who is enamored and a bit obsessed with her first love…bordering on stalker status. Having only lived in Haven, Utah for six months she is attracted to Zan’s bookish nerdy allure. He knows the Dewey decimal system, can speak several funky foreign languages and wears his grandfather’s loafers. The two of them decide that Haven is just too conservative and happy for their style so they set their sites on Joy’s hometown colleges in Claremont, California. Things are plunking along quite nicely until Zan decides to get his GED and head to Cali without her. Leaving no number, no address and no plans for their future, Zan is gone and Joy wants closure. Here’s the plan…surprise road trip back to her roots and to find Zan. The only problem is all of Joy’s friends aren’t too hip on Zan or on the trip and there’s only one taker on the idea, Zan’s ex-best friend Noah. Noah is the epitome of what Joy is trying to avoid. He’s a “soccer lovin’ kid” …as nice and popular as they come. He’s decided that Joy is going to be his friend whether she wants to be or not. How the two end up alone together in his Saab 900 heading from Utah to Cali we’re still not quite sure. But there’s plenty of Sprite and Barry Manilow tunes to keep the silence from getting too thick. Both Joy and Noah are in for the big surprise that awaits them on their UEA adventure. 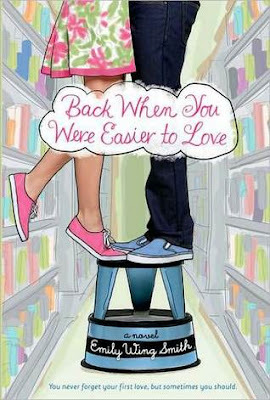 Back When You Were Easier to Love explores the harsh reality of the loss of first time love, the dangers in setting up stereotypes and the struggles of those with the desire to live outside of cultural expectations. So much of it I could relate to in my experience moving between high schools and then colleges in Utah and California. Whether you are of Joy’s faith as a Mormon or not there is a huge amount of culture shock between these two states. Emily does a wonderful job of teaching that we are all just people, not above or below each other. My only hesitation in content is that a lot of the book is told from Joy and Zan’s viewpoint…looking down. In the process of the storytelling, the very stereotypes Mormons try to avoid may be reinforced in the minds of others reading about us for the first time. Emily differentiated between belief and culture beautifully in the chapter titled “This I Believe” on page 106-107. LOVE loved it. Main character Joy learns she has lost so much of herself trying to be what Zan wants her to be. As teen I think we all made that mistake in one relationship or another. So though sad, Joy’s realization of self and the way she comes to it is realistic. So, our Photography Friday post below is a series of Vegas photos from Heather Gardner Photography. They will give you a little taste of the fun to be had in the last chapters of Back When You Were Easier To Love. We are giving away 5 photo postcards of prints from our galleries in honor of the Vegas chapters. Simply comment on the post naming your favorite photo to be entered. Giveaway ends April 25, 2011 and is open internationally. A million thanks to author Emily Wing Smith for the sneak peek. Here’s her fab trailer just released yesterday on You Tube. 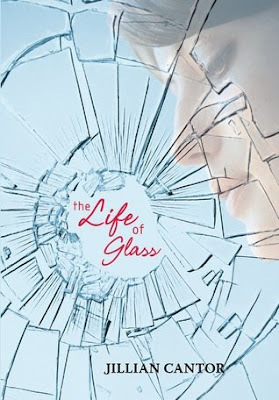 Book Summary:(from Stephanie’s website) Anna was looking forward to her senior year in Atlanta, where she has a great job, a loyal best friend, and a crush on the verge of becoming more. So she’s less than thrilled about being shipped off to boarding school in Paris—until she meets Étienne St. Clair. Smart, charming, beautiful, Étienne has it all . . . including a serious girlfriend. But in the City of Light, wishes have a way of coming true. Will a year of romantic near-misses end with their long-awaited French kiss? Stephanie Perkins keeps the romantic tension crackling and the attraction high in a debut guaranteed to make toes tingle and hearts melt. Dutton Juvenile has donated on copy of Anna and The French Kiss to our US readers. Fill out this form to enter to win one of the most talked about new books of 2010. I first spotted an ARC of this book at the Writing for Charity event and I fell in love with the cover. It is magical. Shimmering. Perfect. Matched is a story that will stick with you long after you are done reading. And it’s one I could happily read over and over. Ally Condie is a master. She takes a dystopian concept and gives it a hopeful poetic tone. Her writing leaves an impact and a deep impression in your mind. This is a book that I see being taught in classrooms because of the ideas it presents and explores. It starts out as Cassia is getting ready to attend her Matching ceremony, traveling along with her childhood friend Xander and their families. The whole event sounds like a girl’s dream. A new green silk dress, and the once in a lifetime chance to meet the man you may marry. The society hand picks them for you and statistics show all will be well. Cassia’s path may be different than her peers, after her match goes wrong and she sees the faces of two boys instead of one. Both of them live in her borough, but one has a secret. Soon the perfect face of society will start to crumble as Cassia uncovers their methods. They control every facet of life: the food, the jobs, the history, and even the chances you will have in the future to succeed. Society officials watch your every move and limit your choices. As they once seemed protective and helpful they become Cassia’s source of confusion and entrapment. Will she be able to break free and choose love over loyalty? Matched is slow moving but immersive. I found myself falling for both of Cassia’s men. They are incredible. 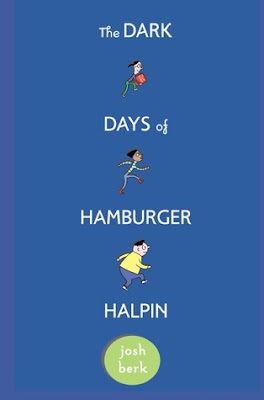 The families are tight knit, each of the character’s pasts are intertwined and interconnected. The plot has layers which continue to unravel and the romance element is clean and perfect. I’m looking forward to the sequel, since in the end there are a lot of unanswered questions. Overall Matched is a beautiful, thought provoking book bound to become a classic. 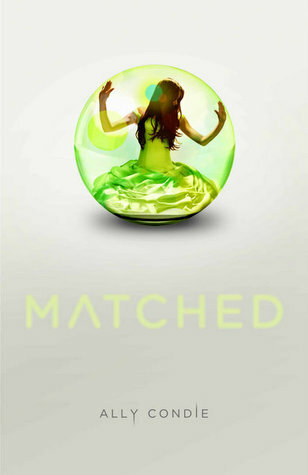 Visit Ally’s website here and an author interview and excerpt from Matched on Amazon. Be sure to enter to win a vintage compact necklace inspired by Cassia’s matching ceremony artifact in the post below. Also our 600 follower contest contains a signed copy of Ally’s book Freshman for President! When Katarina Bishop was three, her parents took her on a trip to the Louvre…to case it. For her seventh birthday, Katarina and her Uncle Eddie traveled to Austria…to steal the crown jewels. When Kat turned fifteen, she planned a con of her own–scamming her way into the best boarding school in the country, determined to leave the family business behind. Unfortunately, leaving “the life” for a normal life proves harder than she’d expected. Soon, Kat’s friend and former co-conspirator, Hale, appears out of nowhere to bring her back into the world she tried so hard to escape. But he has good reason: a powerful mobster has been robbed of his priceless art collection and wants to retrieve it. 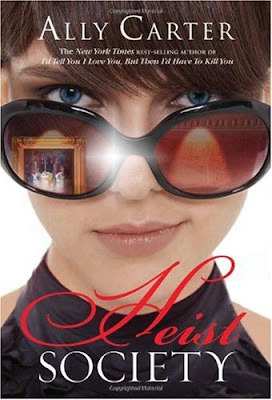 Only a master thief could have pulled this job, and Kat’s father isn’t just on the suspect list, he is the list. Caught between Interpol and a far more deadly enemy, Kat’s dad needs her help. For Kat there is only one solution: track down the paintings and steal them back. So what if it’s a spectacularly impossible job? She’s got two weeks, a teenage crew, and hopefully just enough talent to pull off the biggest heist in history-or at least her family’s (very crooked) history. Sophie Greene gets good grades, does the right thing, and has a boyfriend that her parents— and her younger brother—just love. (Too bad she doesn’t love him.) Sophie dreams of being more like Devon Deveraux, star of her favorite romance novels, but, in reality, Sophie isn’t even daring enough to change her nail polish. 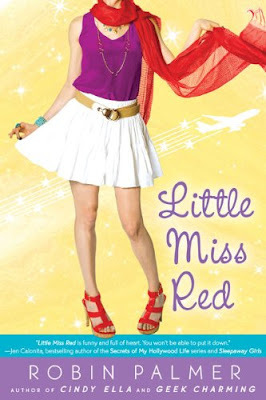 All of that changes when Sophie goes to Florida to visit her grandma Roz, and she finds herself seated next to a wolfishly goodlooking guy on the plane. The two hit it off, and before she knows it, Sophie’s living on the edge. But is the drama all it’s cracked up to be? The penultimate chapter in the thrilling vampire series!